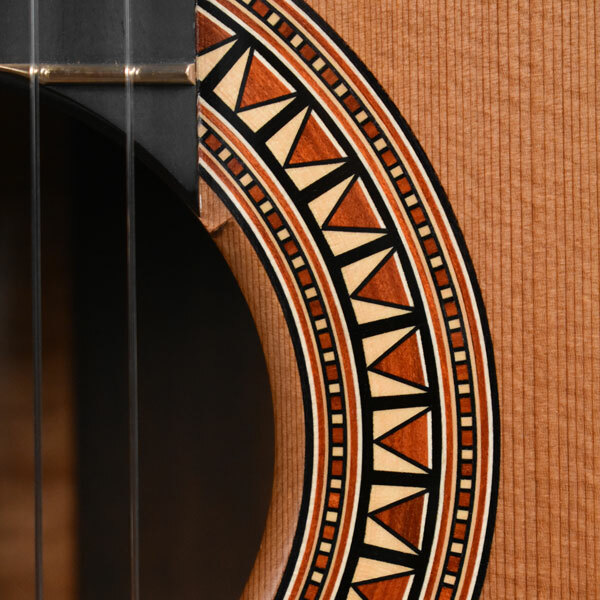 This guitar was commissioned by a gentleman who spent time in Brazil earlier in his life. 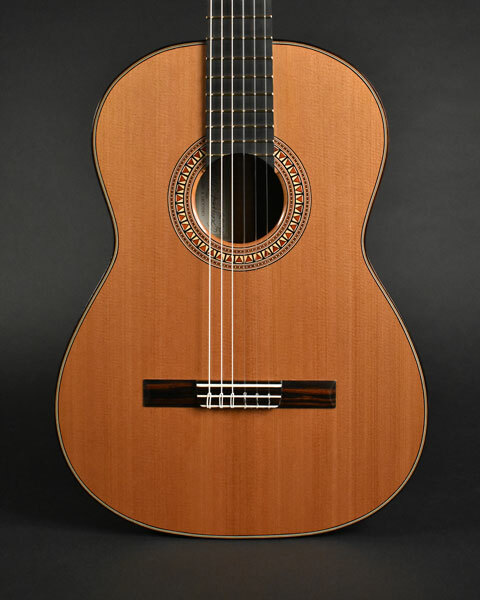 Although he has an East Indian rosewood guitar with a European spruce top he wanted this guitar to have a different character and to conjure up memories from his good times in South America. 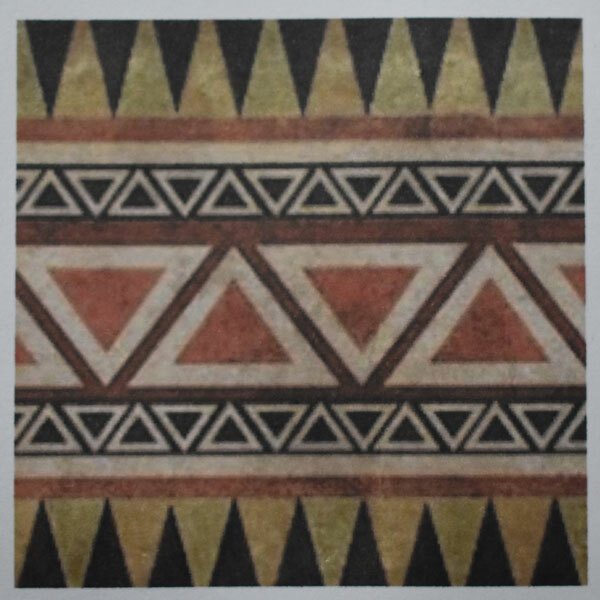 Besides the obvious choice for the back and sides, we discussed using some of the graphic indigenous patterns and motifs that he remembered from his time in Brazil as the inspiration for a special rosette design. 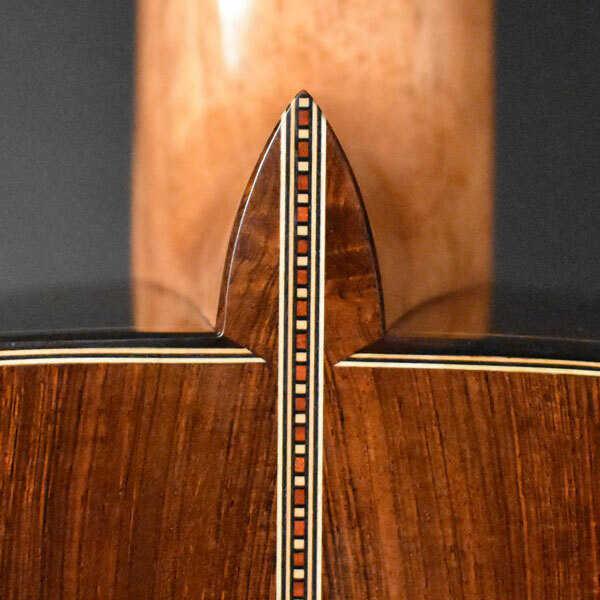 I have included an image of the pattern we selected to show the jumping off point for both the rosette design as well as the custom engraving for the Rodgers Tuning Machines. 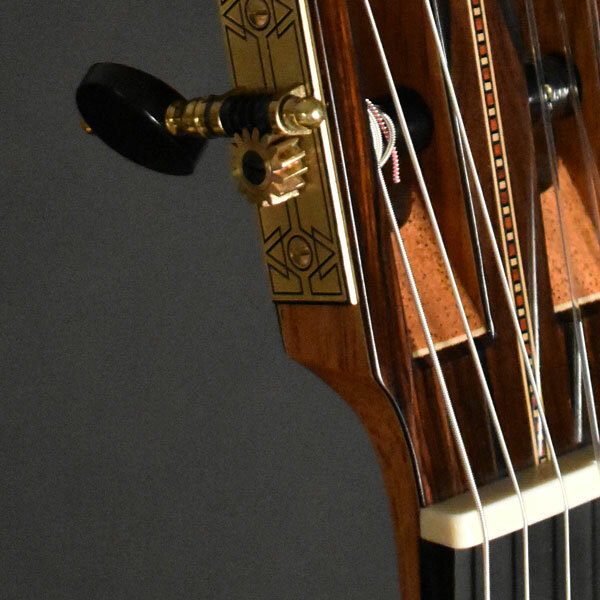 I can't say enough about the quality of Rodgers tuners and how helpful Rob Rodgers is especially when creating something custom. . The scale length is 650mm and we elected to use the open harmonic bar bracing pattern shown on my "Commissions" page. The woods used in both the rosette and the custom purfling include Ebony, Peroba Rosa, Castillo and Holly. 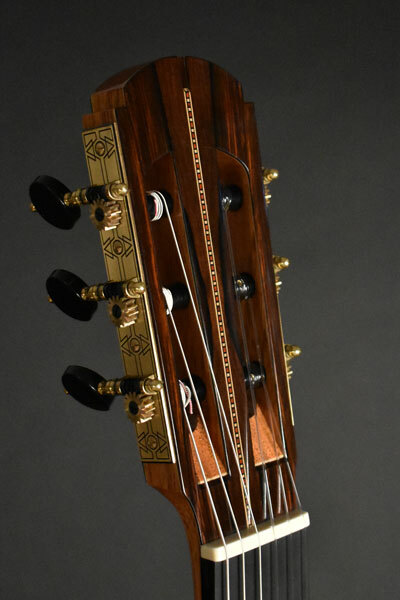 The guitar is finished in French polish of shellac. I'm very pleased with both the sonic and aesthetic outcome. 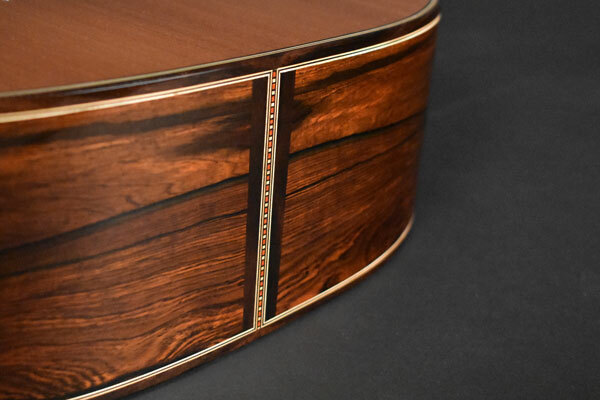 The guitar exhibits a sound quality that is both warm and rich while maintaining the clarity and evenness that I strive for in all of the guitars that I build.